The XI Vampilov International Theatrical Festival of Modern Drama is hosting the 2nd International Contest of the Theatrical Poster. The aim of the contest is the further development of theatrical poster as an art form, the strengthening of the international cultural ties, providing opportunities for participation for artists from all over the world. Two competition categories are available: classical poster and advertising video clips of performances for city boards, Internet and e-media. The Jury will select about 70 posters and 20 advertising video clips of performances for further exposition. The Exhibition will take place in Irkutsk Drama Theatre during the International Theatrical Festival in September 2017 and lasts about 20 days. After the closing of the Exhibition the Jury will announce three winners in the each category. Diplomas of winners and prizes will be handed to authors of these works. The Vampilov International Theatrical Festival takes place in Okhlopkov Academician Drama Theatre, Irkutsk (Russia) from 17th to 23rd September, 2017. 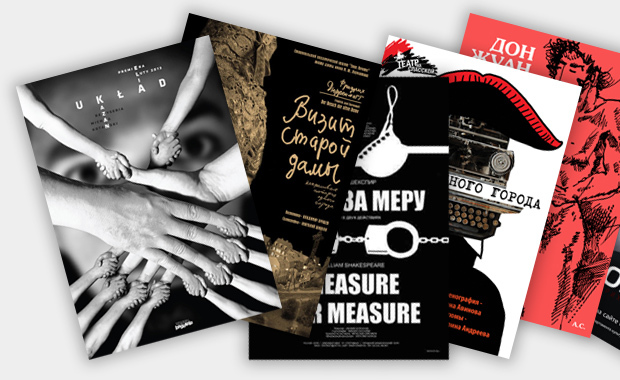 The 1st International Contest of the Theatrical Poster took place in 2013 within the framework of International Theatrical Festival “Meetings in Odessa” with the participation of State Theatre Agency of Russia and Theatre Union of Russia. 144 artists from 17 countries including Russia, Ukraine, Japan, Finland, Israel participated and more than 400 posters were sent.